Interested in birdwatching in North Thompson? Here are some tips to help your adventure take flight! The Wells Gray and Clearwater area is home to nearly 300 different species of birds throughout the year. While roughly 20% of these feathered friends have made permanent nests here, the warmer months bring a flurry of excitement and seasonal visitors of all varieties. Birding activity fluctuates throughout the Alpine Meadows season: spring and early summer offer the hustle and bustle of mating and nesting, and the air is filled with the delightful sounds of songbirds. Once the chicks hatch, the song settles down and the birds can become more elusive during the heat of the day, though many can be seen fishing in the beautiful waters of Wells Gray Park, the North Thompson River, and other area lakes and streams. By mid-August, many of our winged summer residents start to stir again, and the treetops and skies are filled with more than 100 different migratory species. Why do so many birders wear vests with lots of pockets? Because there are some essentials you might want to have on hand when you set out to do some birdwatching. Binoculars or a Spotting Scope – Even an inexpensive pair of binoculars can enhance your birding experience, significantly! You’ll notice the intricate colours on the feathers, the variations in their nesting habits, and even little hints of personality in each birds’ expression if you can have a closer view. Camera – Spotted something remarkable (of course you did! It’s nature!)? You’ll want to remember it, or even show the folks back home. Make sure you have a camera with a high number of megapixels, strong zoom capabilities, or a telephoto lens. A tripod can help you capture magnificent “action” shots of birds in their habitats. In today’s digital age, cameras are quiet, lightweight, and unobtrusive. Even a quick snapshot on your digital phone is a practical tool for this pastime –there are a variety of identification apps that can help your birding vocabulary grow. Field Guides or Apps – There are so many unique bird species in this area! It can be really addicting to want to discover each one. Several small-but-informative books can help you determine just which feathered friend you’ve seen. These days, most guide companies also offer apps that help you to recognize birds by sight. Sibley’s Birds of North America and Merlin’s BirdID are two of the most highly recommended. Sibley’s has also recently developed an app to identify them by their song! Because cell service can be spotty in this region, an old fashioned portable paperback field guide is always useful. Sibley and Peterson each publish consistently popular choices. Sun and Insect Protection – The Thompson region encompasses semi-arid steppes and lush forests, which means you could very well encounter hot summer sun and damp marshes in the same day. This is great for wildlife viewing, as it attracts a very broad range of species! But, alas! that also includes bugs. We have so many beautiful bodies of water up here that we also have an abundance of mosquitoes in the summer (try as they might, the birds can’t eat them all)! Make sure to wear appropriate clothing and pack hats, sunscreen and bug spray! You’re likely to find a plethora of feathered friends anywhere you look, but several are known to attract an interesting variety. These are some of the best places to explore. The Wells Gray Park Information Centre is a great place to start, with park maps, region-specific field guides, and knowledgeable rangers ready to help. Make sure to download the Wells Gray Bird Checklist to know what to look for! Within an hour’s drive of Alpine Meadows, you’ll find an abundance of excellent birdwatching spots. Some areas can be difficult to access, but check the BC Provincial Parks website for specific information about hours, facilities and parking. Remember, other animals call this home, too! Always observe the rules of our provincial parks, and be safe around wildlife. Wells Gray Park boasts rich populations of nuthatches, warblers, vireos, sparrows, goldfinches, and hummingbirds. 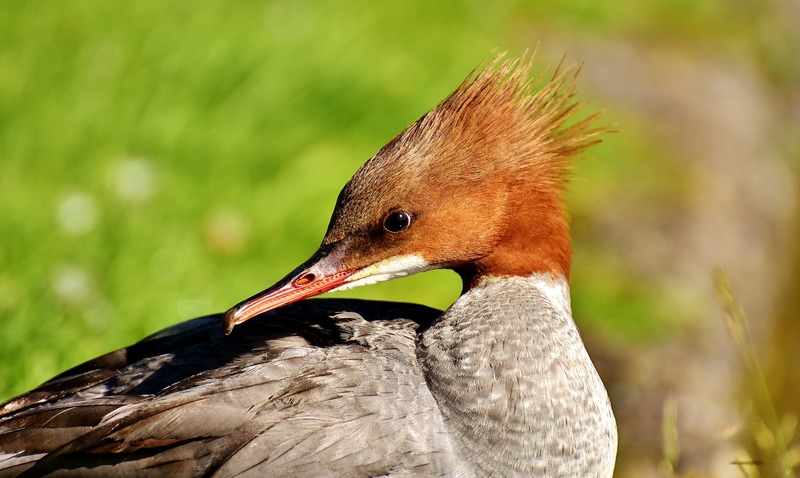 Head out on a kayak to find hooded mergansers, sandpipers and cranes, as well as mallards and our famous Canadian geese. Owls, woodpeckers, grouse, and crows are plentiful here, as well. Keep an eye out for the magnificent birds-of-prey; red-tailed hawks, turkey vultures, and bald eagles all build their aeries in this region. 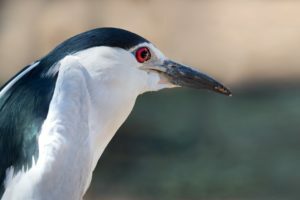 You might chance to spot the more elusive black-crowned night-heron or northern mockingbird, too. The excellent user-updated website, eBird, is a great place to check up on recent sightings in the Thompson-Nicola area. Birdwatching is a trending activity here in Canada. At Alpine Meadows, we regularly welcome guests who flock to the area to enjoy our exceptional birding opportunities. Professional ornithologists, hobbyists, and even beginner birdwatchers find plenty of reasons to look to the skies, here. If you’re keen on birds and other ways to take advantage of British Columbia’s exceptional natural activities, Alpine Meadows is the perfect place to visit. Contact us to plan your North Thompson adventure (feathers not required! ).